This post will show you how to configure client aliases for SQL Server. One of the security hardening measures is configuring non-standard port for SQL Server instances. 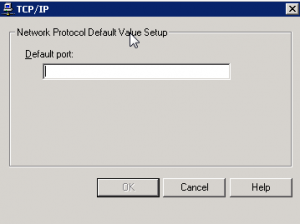 A default instance of SQL Server listens for connections on TCP port 1433. 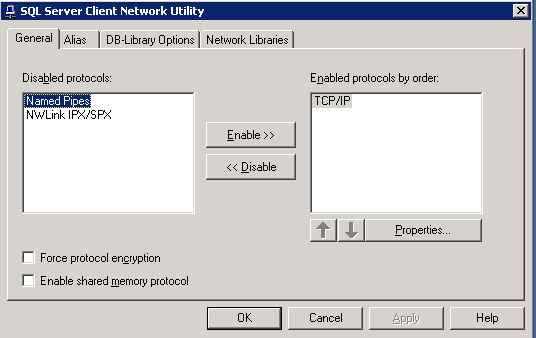 If a client computer is unable to connect to the database on TCP port 1433, it queries the SQL Server Resolution Service on UDP port 1434. To protect the database server, you can block the standard ports used by SQL Server and configure your SQL Server instances to listen on a nonstandard port. 0. Open SQL Server Configuration Manager, and expand the SQL Native Client Configuration node. 1. Right-click Aliases, and then click New Alias. 2. In the Alias Name box, type the alias you wish to use when connecting to the database server. 3. 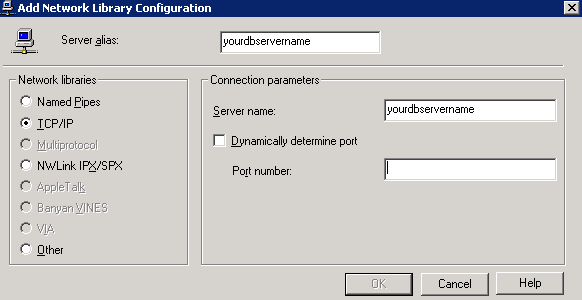 In the Port No field, type the port number that you assigned to your SQL Server instance. 4. In the Server field, type the name of your database server. Configure client aliases on your WFE servers and application servers using the above steps. You must install SQL Native Client and SQL Server Configuration Manager on each server.